Alexandra Dovgan attends Central Music School under Moscow State Tchaikovsky Conservatory. Her teacher is Mira Marchenko. 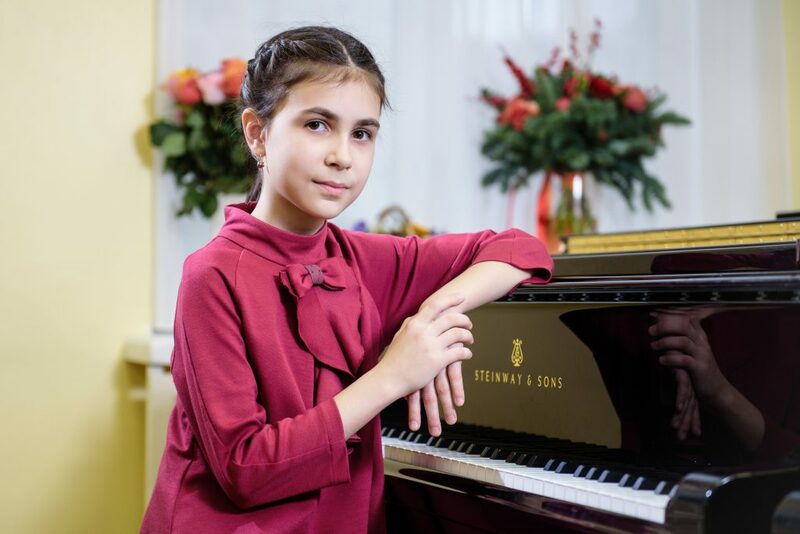 Alexandra is the laureate of XVIII International Television Contest for Young Musicians ‘Nutcracker’ (Moscow, 2017, 1st prize, Audience prize and EMCY Prize), II Grand Piano Competition (Moscow, 2017, Grand prix), IV International Competition for Pianists Astana piano passion (Kazakhstan, 2017, 2nd prize), XIII International Competition for Young Musicians (Moscow, 2016, 1st prize and Special prize from YAMAHA company), IX S. Prokofiev Ural International Competition for Young Pianists (Ekaterinburg, 2015, 1st prize), XI V. Safonov International Competition for Young Pianists (Pyatigorsk, 2015, 1st prize), Musical Talents of Russia, I Russian Internet Competition (Moscow, 2015, 1st prize), International Musical Internet Competition (Villahermosa, Mexico, 2014, 1st prize). Alexandra participated in International Festivals Moscow Meets Friends (2017), Rheingau Musik Festival (Germany, 2017), Ochi Chornye (Tuscany, Italy, 2016) and others. If you are interested in working with Alexandra, please get in touch with the EMCY Office.